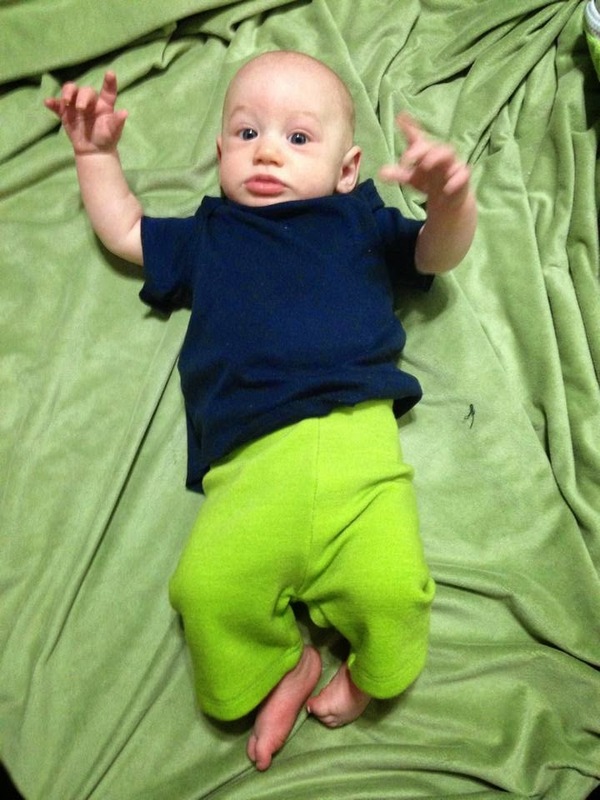 If you cloth diaper, you've probably heard of wool diaper covers, whether or not you use them. Well we DO use them and we LOVE them so much!! I started using hand knit wool that I knit myself, but then I found the interlock love. They are much more durable and stand against leaks better. EweBGreen has some of the best wool. You see, wool is water resistant. It can absorb up to 30% of it's weight without feeling damp or wet. This makes it the perfect cover over fitteds and prefolds/flats, but also great as every day pants to help with leaks. I use them at night over a fitted or prefold and a PUL cover. It is just that extra oomph to prevent wet sheets and a wet baby. During the day I use them over fitteds and pockets alike. Inside the soaker shorties (or longies) there is an extra layer in the wet zone. Her logo is so cute! She makes so many wonderful shorties, longies and soakers and has everything for your woolie needs! For the event, EweBGreen is offering one winner the chance to win a pair of solid color shorties of choice!! Those are really cute. I love the butterfly applique she did. Her appliqués are amazingly adorable! I've never tried longies before and am glad to hear more about how they work! And that jellyfish is ADORABLE! Really want to try wool. These look like a great option! Awe the jellyfish are the best! Definitely wanna get a wool cover for nighttime diapering!! I've never tried wool as a diaper cover, but I'd love to try it. I like the shorties and I love that they double as pants too. I have never tried wool, but they look so comfy! Wool scares me, but love the jellyfish print. I've never tried wool, but these are so cute I would definitely love to! Thanks for giving exposure to a great product! EBG was the first interlock I've tried and so far, I haven't even bought another brand. I've had 4 pairs over the last 10 or so months and love them all! And you're right about resale... we sold our first pair and it funded new ones! I love my EweBGreen shorties! They are so soft. I love the 2nd layer its very smart! I would love to try it! I <3 those soaker shorties!!! 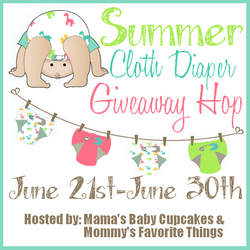 I'd use them as shorts in the summertime and only other cloth diapering moms would know it was a diaper! Aww... The appliques are adorable. I keep hearing about the wonders of wool for overnights -- must try sometime! Thanks for the helpful review! these look great! id love to try them love they extra in the soak zone!! I have never tried wool, but I hear great things. So cute! I love the woolies with the appliques! When I tried wool I just used knit, but I am very interested in trying interlock for our next baby! I've tried wool and I really need to prep and use it again now that I have the proper cleaners. I love the butterflies! So cute! What beautiful workmanship! I would love to try wool for my heavy wetter! I would love to try these. I used wool with my first one at night but not from EBG. Need to rebuild my stash since I"m expecting number two and got rid of everything a couple of years ago! Might have to get a pair of these. I like that there is an extra layer in the soak zone! i really love that applique! the wool covers are really my favorite! These are so cute! Love the jellyfish applique!